ExVel Turbo Fans - pdblowers, Inc.
ExVel® turbo fans combine competitive cost with an outstanding track record of long plant life and reliability. They offer complete isolation of the process gas and a robust ability to handle corrosive gases. These factors make ExVel® the first choice across the oil and petrochemical industries, chemicals manufacturing, food processing and many other activities where long-term, round-the-clock operation is essential and unscheduled stoppages have expensive consequences. What is a Turbo Fan? 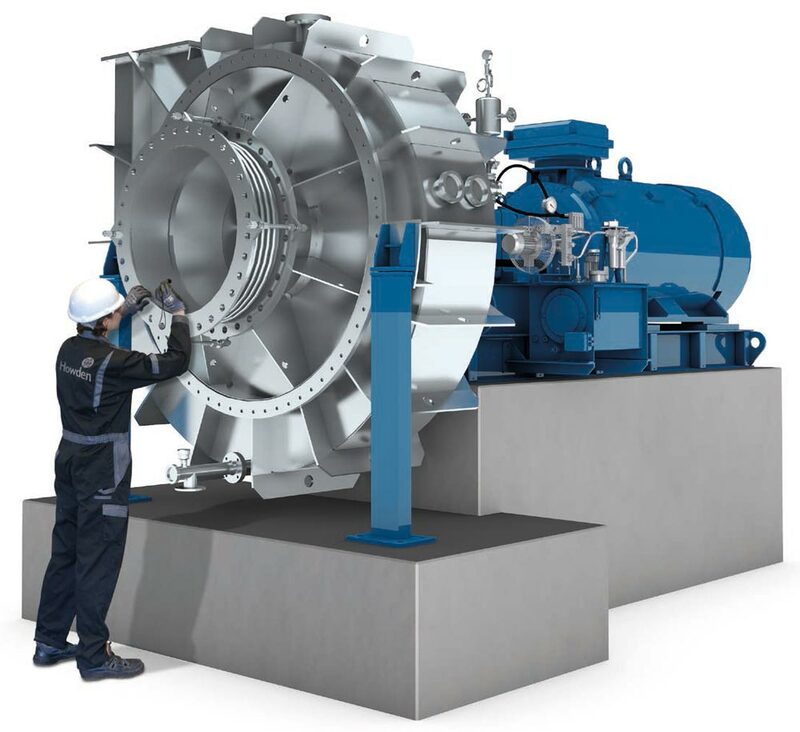 ExVel® turbo fans are the bridge between centrifugal fans and centrifugal compressors. 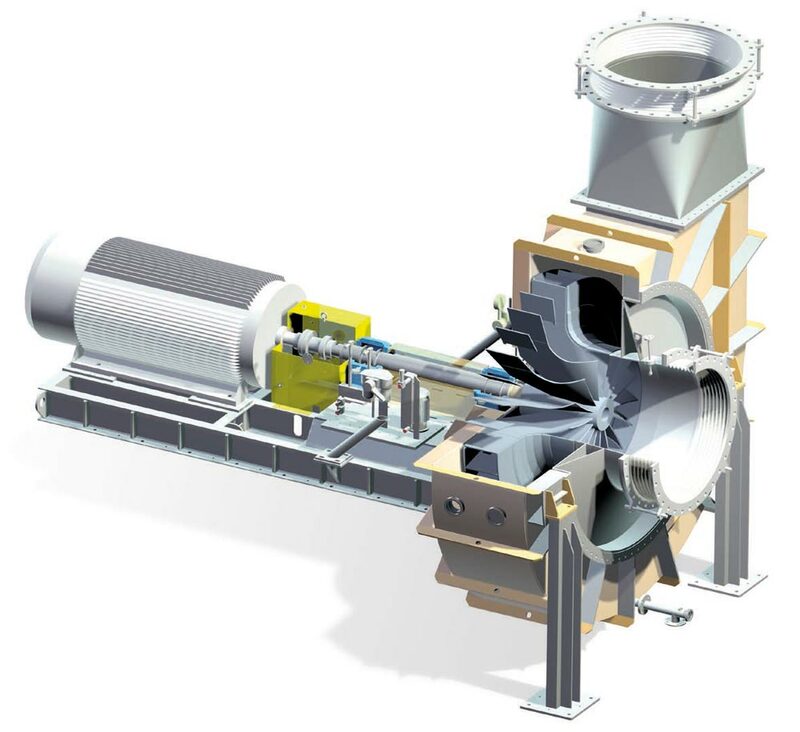 This unique centrifugal fan technology is capable of high volume flows with pressure rise similar to other centrifugal compressors. Outstanding track record of long plant life and proven reliability. 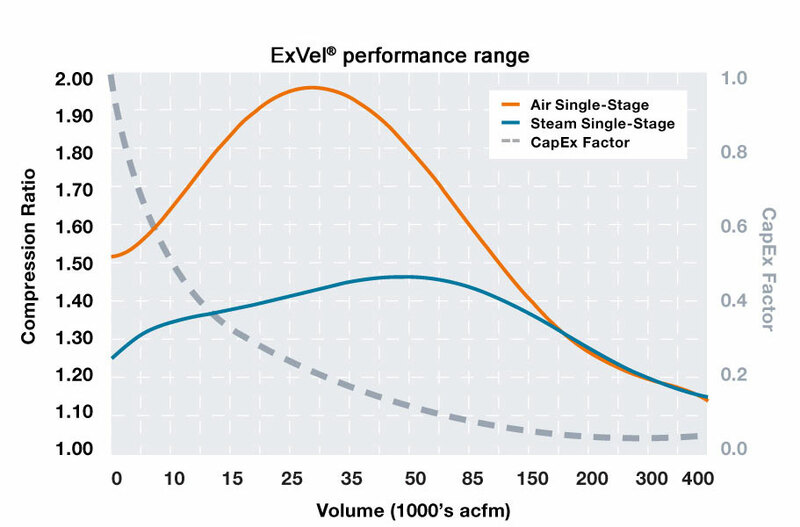 By operating at previously unattainable speeds, ExVel® extends fan capabilities into new areas of pressure and flow volume. The technology has been developed to meet the need for ultra reliable operation that extends the upper limits of fan and blower performance. Delivering up to 160 cubic meters per second of flow, or a pressure rise of up to and beyond one bar in standard atmospheric conditions, it offers excellent controllability and turn-down capabilities. With the option of combining single units in series, it is capable of meeting duties and specifications that are normally handled by compressors, and doing so with outstanding economy. 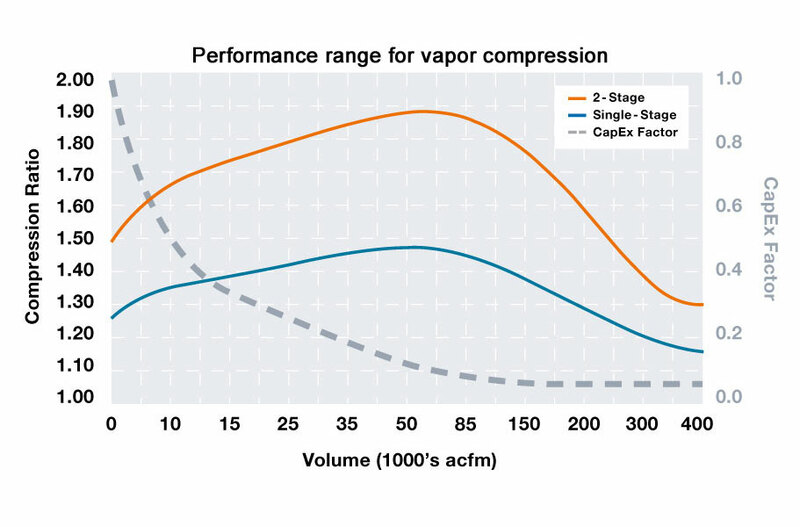 Air performance based on standard ambient air, 0.075 lb/ft3. Steam performance based on saturated, atmospheric conditions, 0.0373 lb/ft3. Steam performance based on saturated, atmospheric conditions, 0.0373 lb/ft3. The ExVel® turbo fan was initially developed to meet the rigorous demands of Mechanical Vapor Compression or Recompression, which recycles the vapor created during the evaporation process and re-uses the energy it contains. The technique is equally valuable where the end product is a concentrated fluid or where it is the water itself, for example as part of a water recovery and re-use process. Robust reliability and dependable performance have since made ExVel® turbo fans a natural choice for a wide range of applications and processes, and they are widely used in a range of air or gas circulation, pressurization or exhaust roles where uninterrupted service is essential. 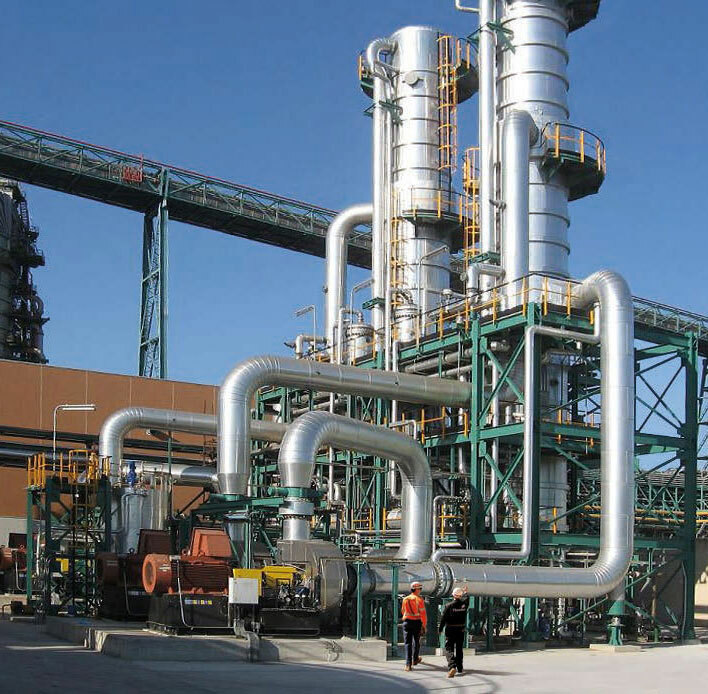 Single ExVel® units can be easily combined into a series arrangement, increasing the pressure rise that can be achieved while keeping capital and operating costs surprisingly modest. Higher aerodynamic range – up to 4x differential pressure capability! More than 3000 ExVel® turbo fans are today installed around the world, performing vital roles in a wide range of applications. Every ExVel® unit that leaves the Howden factory is a custom-built unit, individually designed to the customer’s unique specification. Some have been in operation since the 1970s, and if it were a wheel an ExVel® impeller installed 40 years ago would by now have travelled around 350 million kilometres, well over the distance to the sun and back. 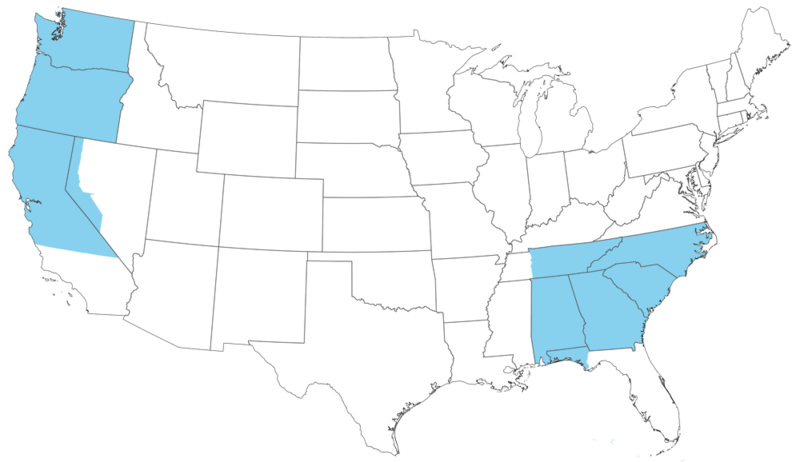 pdblowers manages the sales of Howden ExVel Turbo Fans in Georgia, East Tennessee, North Carolina, South Carolina, Alabama, Florida Panhandle, Washington, Oregon, Northern California and parts of Nevada.